FLASH SALE ENDS IN 10 HOURS | PRICES RISING TO $39.90 !! Just slide a card when you need to pay! Deside for yourself how many layers it should hold, making it as thin as want! Material allows it to be not only extremely light and slim but also ridiculously strong and durable. Built with genuine carbon fiber, protect you from RFID skimming and keep your data safe. 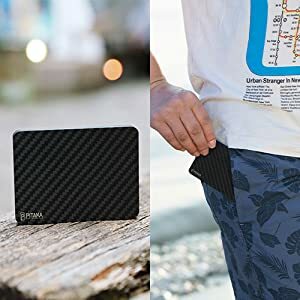 The world first carbon wallet fits all occasions. 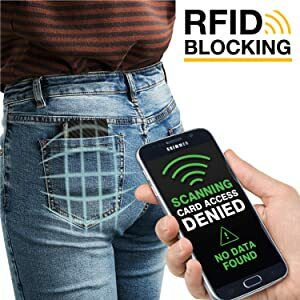 Allows the wallet to be slim and light, RFID-Blocking and a long lasting life. Modular Design. You can decide for yourself how many layers it should hold, making it as thin as wanted. Easy to use. Always just a thumb sliding design. You can even use it with one hand and find out any card in seconds! UPDATE: Due to huge demand we are officially running low on this product, please place your order while supplies last! There's absolutely ZERO RISK buying from the Sixcol's official store - so send us an email if you need any assistance. Safe payments via PayPal® and Credit Cards. 100% Money Back Guarantee if product not received, if the product is damaged Or if the product differs. We use encrypted SSL certificates for 100% security! Limited Time Offer For First 500 Orders!